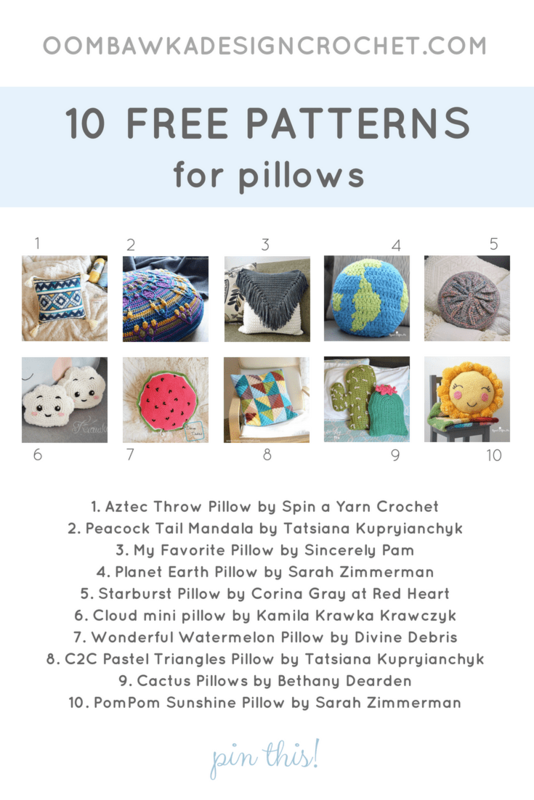 This week’s Free Pattern Roundup includes 10 patterns for pillows. Patterns have been included for a variety of different styles of pillows. You will find stunning pillows that are perfect for the living room and adorable pillows for children’s bedrooms. If you’d like to try your hand and color-work, try the Aztec Throw Pillow pattern. Or make a gorgeous pillow usng the Peacock Tail Mandala. 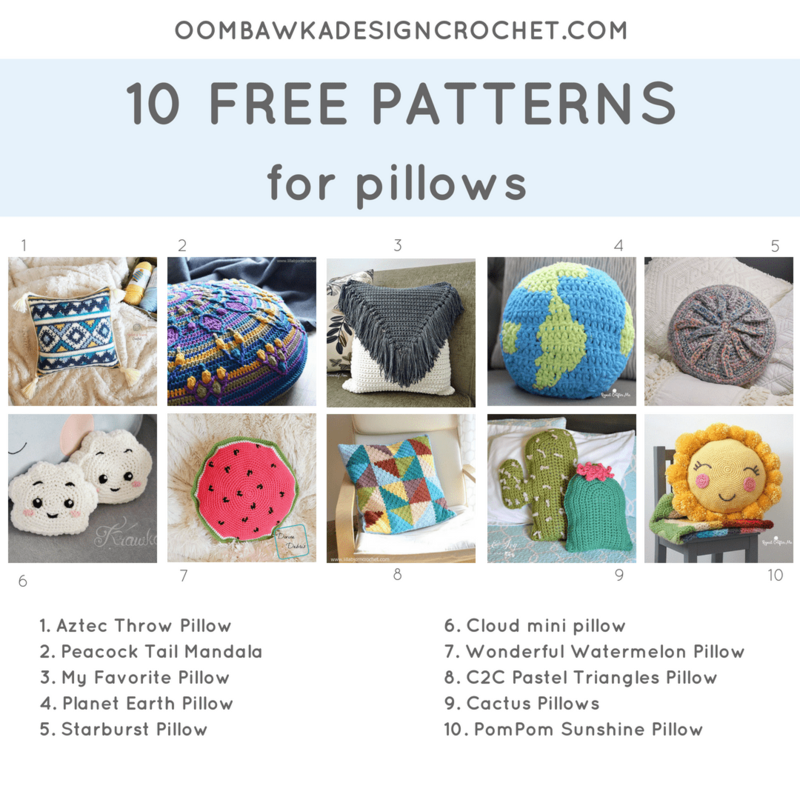 All 10 patterns included are available for free. Choose the Pillow you want to crochet from the image below and then click on the title of the pillow listed beneath the image. This will take you to the free pattern. Hola, quise hacer el almohadón azteca (1) y el diagrama es un patrón de venta!!! el un precioso almohadón pero sin diagrama es bastante difícil hacerlo, puedes ayudarme?